Its an old post of course, the muffler the guy used had the universal type mounts. I tried to find his pics, but they’ve been deleted. I don’t think that exact model is available any more, but it’s easier to find a KTM pipe on eBay than one for a berg. DON'T buy a round muffler. there isn't room for one. 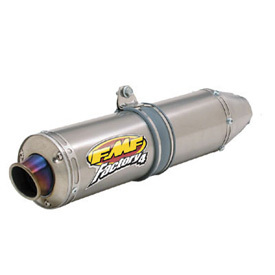 you will need an oval muffler with an adjustable bracket. the tyre rubs on anything but the narrowest muffler.